Money shouldn’t mandate healthcare. Yet that’s precisely what happens when it comes to abortion. Roughly 1 in 3 women will have an abortion in her lifetime — and not only women have abortions as trans men, genderqueer and non-binary people do too. People in the military don’t have insurance coverage to fund abortions. Last year saw 43 new abortion restrictions passed by state legislatures. Abortion restrictions place an unfair burden on low-income people and people of color. All people, regardless of income, should have their rights protected. People need to determine their reproductive choices without being encumbered by fiscal constraints, restrictive laws or extremism. With unsafe abortions on the rise globally, we can’t afford to let anti-choicers strip our reproductive rights away. 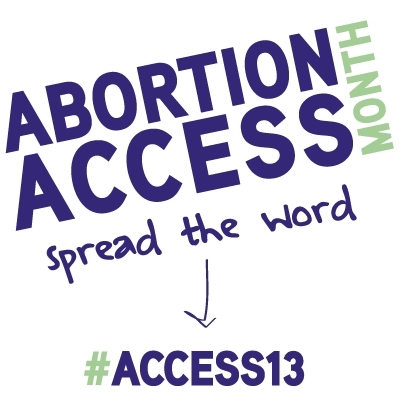 The National Network of Abortion Funds has named September Abortion Access Month. They want to generate a national conversation around abortion and what it really means. Part of that conversation must address barriers to abortion. One of the biggest hurdles in abortion access? They Hyde Amendment. The Hyde Amendment doesn’t allow federal funding of abortion. This places barriers to people accessing abortion. It doesn’t impede the wealthy. If they need an abortion, they can pay their doctor out-of-pocket if necessary. If they live in a state with legislative abortion restriction, they fly to another state. But people in poverty or with low incomes don’t have that option. Massive restrictions exist on public funding for abortion. 37 years ago, the Hyde Amendment passed by a vote of 207-167. It prohibits any federal dollars to cover abortion. That impacts people with Medicaid, the military, federal employees, Peace Corps volunteers, Native people who get healthcare through Native services. Hyde is horrific piece of legislation that infringes upon people’s right to access abortion. It systematically targets people with low incomes and those struggling with poverty, which disproportionately affect people of color. Roe v. Wade had promised abortion access, but Hyde wrenched that promise away. The intention of the Hyde amendment? To effectively ban abortion. Medicaid is intended as a safety net to help ensure insurance coverage. But in reality, with Hyde in place, it allows people to fall through the cracks. This is where abortion funds come in. Funds like the Eastern Massachusetts Abortion (EMA) Fund works tirelessly to ensure people get the abortions they need. Providing grants to people who need money for an abortion, they bridge the access gap. 17 states use state dollars to cover abortions. My homestate of Massachusetts is one of those lucky states. But not everyone qualifies for MassHealth, the state government insurance for people with low and moderate incomes. We also have anti-abortion laws in place such as mandatory parental notification (people under 18 must obtain parental consent) and abortions can’t be performed after 24 weeks. Additionally, EMA funds abortions for people from neighboring states Maine, Rhode Island and New Hampshire, which aren’t one of the 17 states providing abortion funding. EMA Fund’s hotline received 1,116 calls for people who needed abortion funding. 295 grants were given for a total of $54,910. The EMA Fund is an amazing group of volunteers who passionately believe that everyone has the right to determine what’s right for their bodies and their lives. But where would all those people have turned if EMA didn’t exist? What would they have done? How would their lives have been impacted? These are questions they shouldn’t have to wrestle with because it shouldn’t be this difficult to get an abortion in the first place. While abortion funds work on-the-ground, providing crucial assistance, we also need to work at the legislative level to repeal laws that impede access to abortion. At CLPP’s Abortion Rights and Reproductive Justice Conference earlier this year, activist Lindsey O’Pries said during the Closing Plenary, “Repealing Hyde is just one step on the long road of true reproductive freedom and happy lives.” “‘Last year we received over 100,000 calls for help” to pay for abortions…Getting rid of the Hyde amendment is going to be ‘a multiyear effort,’” said Stephanie Poggi, Executive Director of NNAF. Responding to Hyde, artist and activist Megan Smith created the Repeal Hyde Art Project, a community project of paper birds submitted by people with words and images as to why Hyde should be repealed. With 196 submissions, the art exhibit showcased at the Choice USA Conference in DC. So what can you do on this Global Day of Action? * Speak out about abortion. Tweet using the hashtags #Access13 and #Sept28. * Donate (if you can) to the EMA Fund or your local abortion fund. * Blog about the need for safe and legal abortion. * Read more about the history of Hyde and lessons for activists. * Write a letter to your local paper. 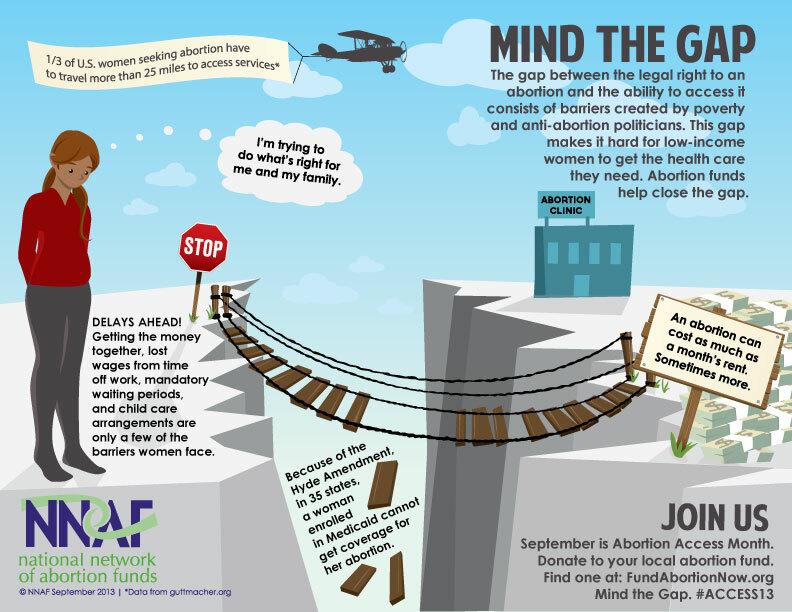 * Watch and share WGNRR’s September 28 video and Manifesto on Safe and Legal Abortion. * Go see a screening of the documentary After Tiller. *Sign the petition to tell legislators it’s time to repeal Hyde. Abortion is a human right. It’s time to make our collective voices heard. Tags: abortion, abortion funds, Access13, Eastern Massachusetts Abortion Fund, Hyde Amendment, reproductive justice. Bookmark the permalink. Thanks for the information. I had no idea about the Hyde Amendment but it sounds awful.